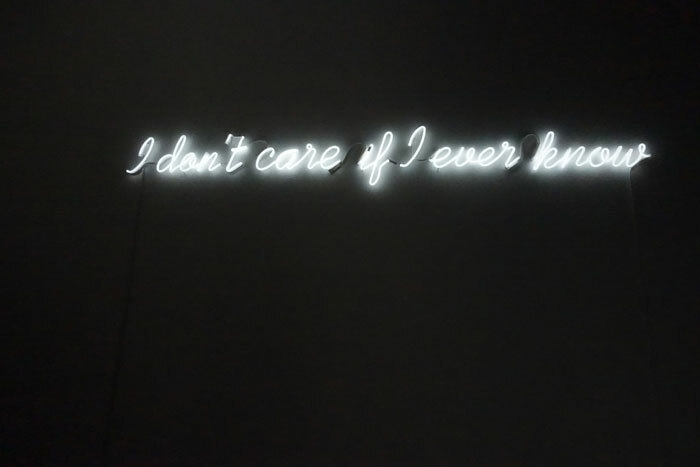 ￼he quiet glow of letters forming "I don‘t care if I ever know" meets the onlooker. 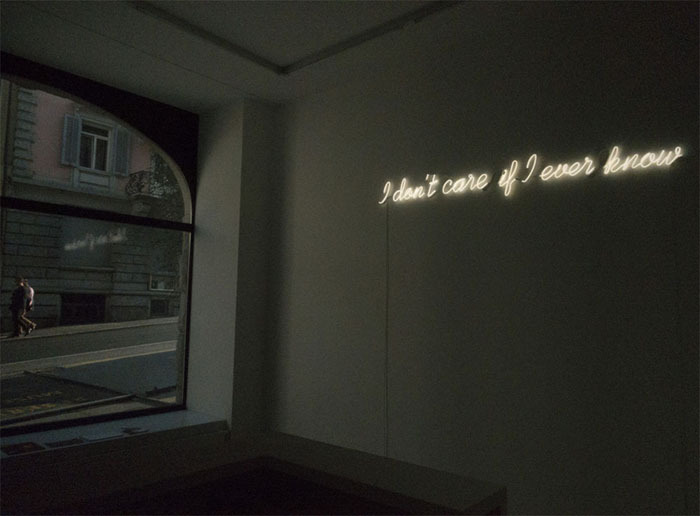 “I don’t care” gives the relinquishment of knowledge, of knowing the “truth”, the notion of a slightly provo- cative, flippant rejection of certainty. 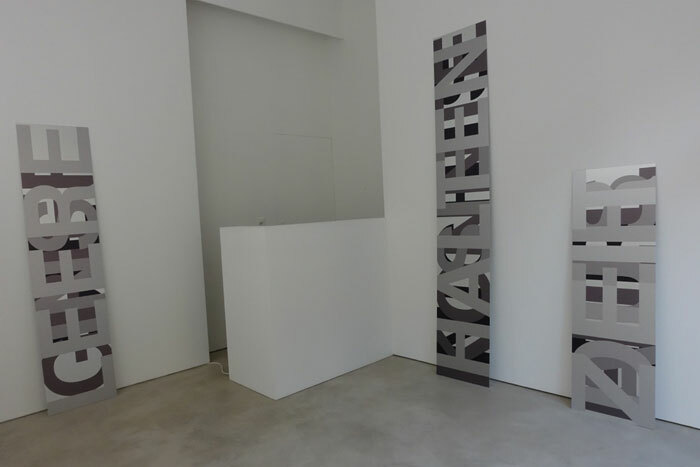 These overlaying texts bring out the image character and figura- tive aspect of typeface. The content of the text has no bearing, as it is illegible. Rather, it is all about the appearance of the letters. However, the content is important all the same. In fact, in its com- pressed, garbled state, it forms the basis of the image – without it, the image would not exist.